When selecting a suppressor, point of impact shift, type of mount, weight, and length of the suppressor are my main concerns. Cost and noise reduction are the lowest on my list of concerns. When noise reduction is mentioned, a lot of guys will make a mountain out of a mole hill in reference to a couple decibels. As long as the suppressor doesn't seem loud to me and I can shoot it without hearing protection, I'm good to go. 1) Point of Impact Shift - Something that I did not realize when I purchased my first suppressor was how much a suppressor effects the point of impact of the host gun. If my carbine was zeroed (point of aim / point of impact) at 50 yards without the suppressor, when I attached the suppressor barrel (via quick detach mounting system) the point of impact would shift 3" - 4" (low and to the right) at 50 yards. I want the ability to put the suppressor on the gun or remove it and not have to worry about having two different zero's for the same gun. With or without the suppressor, the gun should have the same point of impact. I needed a quick detach system because there are times when I don't want to use a suppressor (ie. vehicle ops, high round count training classes, etc) and times where I want to use a suppressor (ie. serving warrants small houses, trailers, apartments, etc). 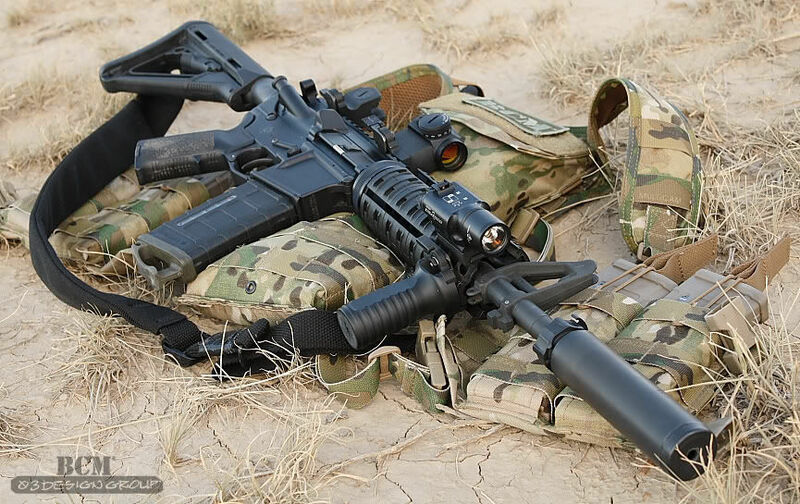 With the Surefire 556k suppressor, using an Aimpoint and Aimpoint with 3x Magnifier, I can't tell a difference in point of impact shift with the suppressor mounted or removed from the barrel. Surefire states that their suppressors will effect the point of impact less than 1 MOA at 100 yards. 2) Mounting system - Without getting too complex, basically there are two different types of mounting systems. a) Quick Detach systems = the suppressor mounts to a flash hider type mount and can easily be installed and removed. When shooting with a suppressor mounted to the barrel, not only will you notice that the gun get's hotter quicker, but it also get's dirtier quicker and burns off lube faster. Something to consider if getting a quick detach system. One of the areas that attracts carbon build up is the mounting area of the suppressor, and on most quick detach suppressors some level of cleaning and lubrication to the mounting system are required. I had a Quick Detach system several years ago, where the quick detach system within the suppressor would lock up due to carbon build up with only a couple hundred rounds and I would have to send the suppressor back to the manufacturer to get the quick detach system back in working order. 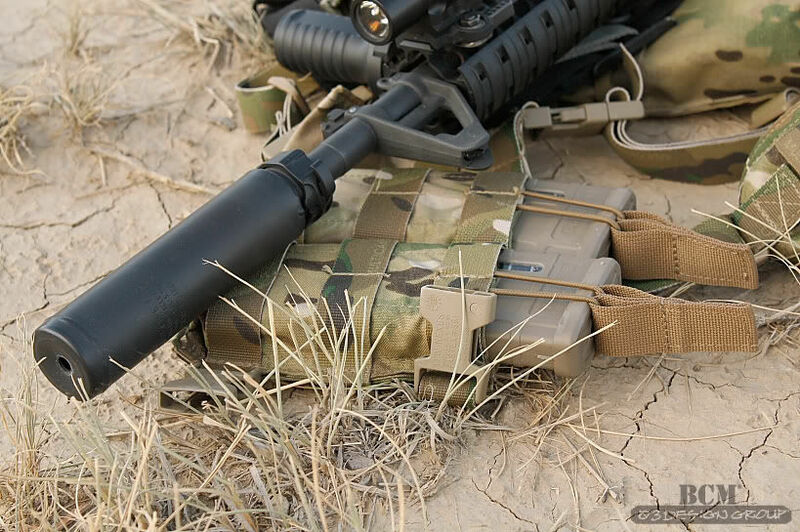 The Surefire's mounting system is pretty durable, less likely to get stuck, and even if it does get stuck, you just loosen the locking ring, fire a couple rounds through the gun and it will loosen the suppressor enough to remove it from the mount. 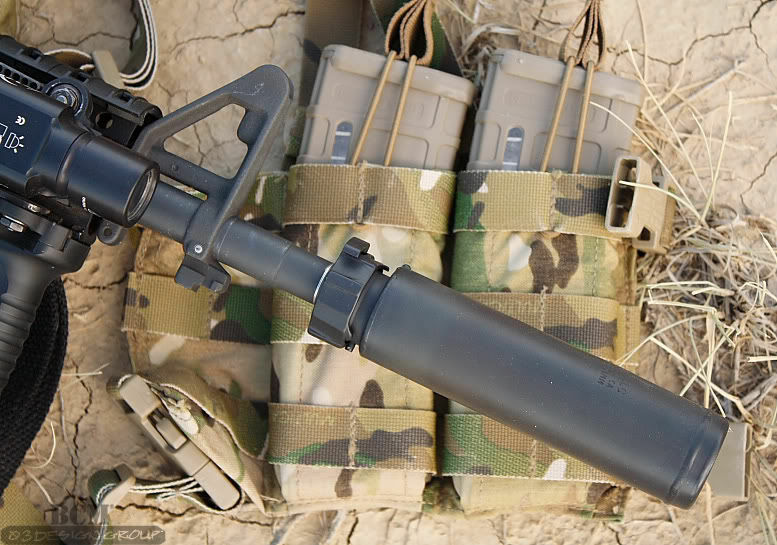 The mounting system of the Surefire 556k was another feature that I considered when looking for a new suppressor. If you don't NEED a Quick Detach system, you may want to consider something like a Gem-Tech M402 (Piranha) which mounts directly to the barrel threads. Mount it and leave it. No point of impact shift to worry about, etc. The Gem-Tech M402 (Piranha) sells for approxiamtely $525. The Surefire 556k is approximatley $1,300 (retail) and it does not come with a mount, mounts are around $100 (depending which one you get). So that's around $1,400. The Gem-Tech M402 (Piranha) is almost 1/3rd the price. 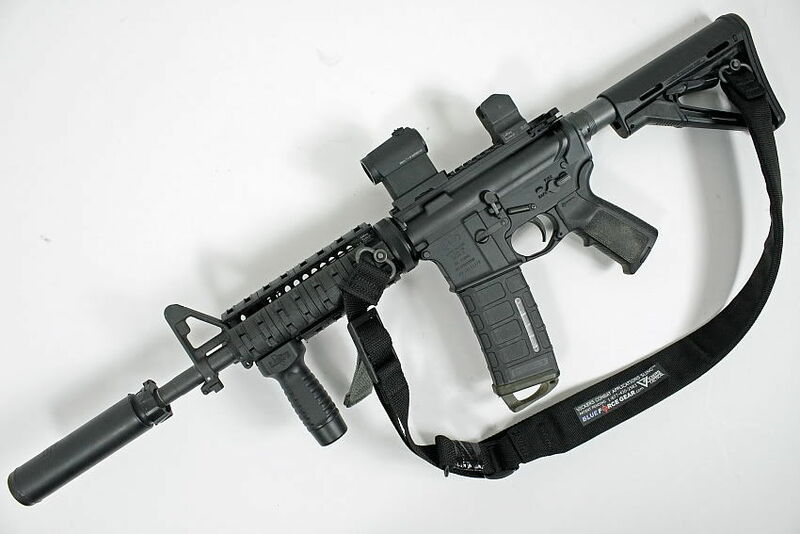 If you don't NEED a quick detach system, but you want the ability to shoot the SBR with and without the suppressor. One option to explore would be to get 2 identical uppers for the same SBR lower. 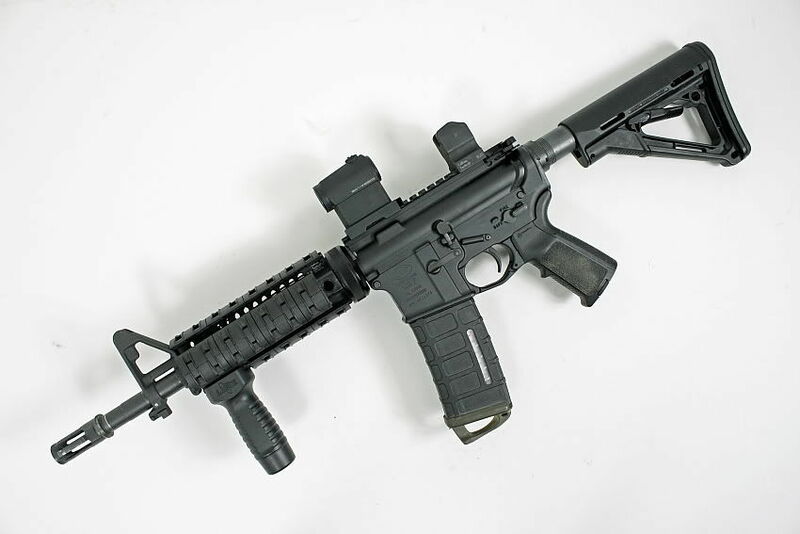 Mount the something like the Gem-Tech M402 (Piranha) on one upper, and no suppressor on the other upper. 3) Weight - Weight is always a concern with suppressors. 5oz or 8oz may not sound like much, but when that weight is at the end of your barrel (furthest away from the center of gravity of the gun) the extra weight feels heavier and is much more noticable than if that weight was located at the center of the carbine. 4) Length - Length also needs to be considered as it effects the compactness of the overall package. Added length can also magnify the weight of the suppressor. For reference I measured a Bravo Company 16" mid-lenght barrel with a USGI A2 flash hider mounted on it and it was just under 1/8" longer than the 11.5" barrel with the Surefire 556k suppressor. For me, the Surefire 556k suited my needs better than other cans I had researched. If I had to go out and buy another suppressor today I would purchase another Surefire 556k.